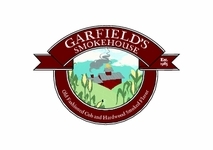 Garfield's Smokehouse of Meriden, New Hampshire is a family-owned and operated business established in 1985 by Bobbie and Don Garfield for Andy Morandi. Andy was the original Smokemeister, he perfected the smoking process in NY. Later in life he decided to move closer to his daughter Bobbie and family. Liz(Garfield) and Bill Taylor took over the business in 2007. Our goal is to produce the highest quality smoked products with an old-fashioned flavor, and to offer these products to our customers at a reasonable price. Our smokehouse meets Federal and State specifications, and all our operations are conducted under USDA, FDA, and State of New Hampshire inspection procedures. In addition to our smoked products, we offer Taylor Brothers maple syrup, produced by Liz's husband, Bill, and his brothers Jim and Rob. SECURITY POLICY: Your payment and personal information is always safe. Our Secure Sockets Layer (SSL) software is the industry standard and among the best software available today for secure commerce transactions. All of your ordering information, including credit card number, names, and addresses, are encrypted so that they cannot be read over the internet.